The latter was the first event for us as dotdigital, where the tradeshow was an exciting stage to share ideas and network with some of the biggest innovators in ecommerce. MagentoLive was a proud moment for the dotdigital family, as our Founder and President, Tink Taylor, introduced dotdigital and took the room through our rebranding journey during his presentation. With a deep dive into dotdigital Engagement Cloud, the omnichannel customer engagement platform, he also touched on key findings from the annual report, Hitting the Mark Australia 2018. MagentoLive took place at ICC Sydney with a keynote session from Mark Lavelle, CEO at Magento, an Adobe Company, providing an update on the growing momentum of Magento – a platform to connect with existing and potential customers. 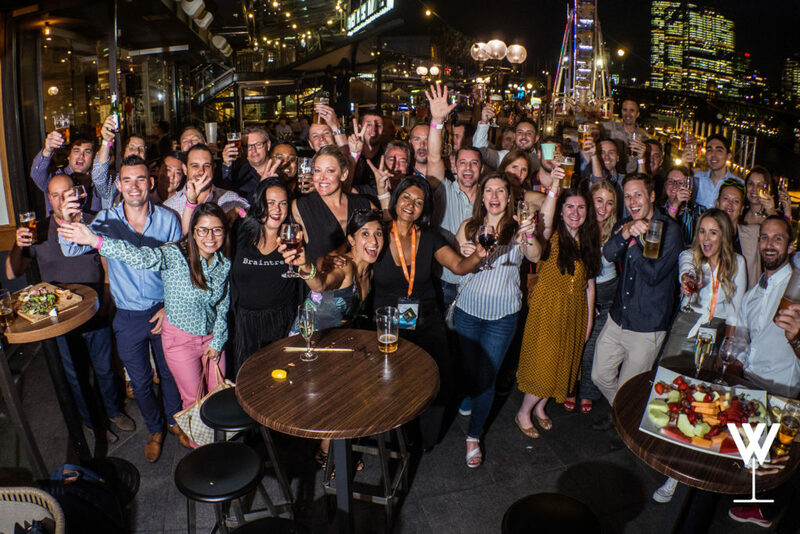 MagentoLive provided an opportunity to witness and discover new developments in the world of digital commerce and the Magento ecosystem in the APAC region. With an increasing number of Australian brands adopting basic marketing automation, we had our very own Amy Goodsell, Business Development Manager at Accolade Wines, highlight the brand’s transformative experience with dotdigital. As our customer database grew over time, we were worried about the workload on each of our consumer team members. It was clear that in order to achieve our growth aspirations, we needed a scalable model to simplify the insanely complex business model and recreate a more personalized experience for our customers. We had no idea at that time, but what we needed was dotdigital. The annual pre-MagentoLive dinner, with exclusive invite-only, was a great way to settle into the conference. Hosted by Peter Sheldon, Senior Director Strategy at Magento, an Adobe Company, and Tink Taylor, Founder and President of dotdigital, it was a relaxed evening at Australia’s most awarded fine dining steak restaurant, Prime. For the third year in a row, dotdigital has sponsored the MagentoLive afterparty and it has become one of the must-do events after the conference. We would like to say a massive thank you to the additional sponsors as it was a pleasure to stand alongside Braintree, Netstarter, and Shippit for the MagentoLive after party at the Watershed Hotel! Here’s to an exciting year ahead for dotdigital’s operation Down Under! Follow in the footsteps of Accolate Wines, and start your journey to marketing automation success: book a demo here. The post dotdigital at MagentoLive Australia 2019 appeared first on dotdigital blog. Since 2008, Vanessa has been bestowing her business tips and advice on audiences – leaving them inspired and motivated. And, this year, she’ll be joining the amazing panel of speakers in our first-ever personal development track. In anticipation of International Women’s Day on Friday 8 March, we could think of no one better to catch up with than Vanessa. Can you tell us a little about your background? Where you’ve come from, where you’ve worked, how you got to where you are today? to women and the economy. What inspired you to get involved with gender equality and motivational speaking? different pieces of research each year, all focused on Gender. Do you have a favourite experience from your career? needed to set up and run a successful business. business as opposed to Vanessa as a corporate worker. hard work, sweat and tears worthwhile. success is a truly amazing feeling. What do you think the audience will gain from your talk? What are 3 top tips for success? What has been your biggest challenge during your career? something in life, you have to work for it. still talk to me, so it couldn’t have been that bad! What influential female figures have been the most inspiring to you and your career? continuously work to inspire other women. In your opinion, what is the largest barrier to women at work and how can it be overcome? opportunities to learn and grow and that I wouldn’t always get things right! And if you could meet any woman from history, who would it be? It would have to be Oprah Winfrey and Michelle Obama. Spaces are limited! Don’t miss out on your chance to learn, grow and get inspired at this year’s dotdigital Summit. Get your tickets today. The post dotdigital Summit 2019: an interview with Vanessa Vallely OBE appeared first on dotdigital blog. With the new year in full swing and an already busy first quarter, our 2019 predictions for SEO in the new year are hopping onto the scene a little late — but fashionably so, we hope. From an explosion of SERP features to increased monetization to the key drivers of search this year, our SEO experts have consulted their crystal balls (read: access to mountains of data and in-depth analyses) and made their predictions. Read on for an exhaustive list of fourteen things to watch out for in search from our very own Dr. Pete, Britney Muller, Rob Bucci, Russ Jones, and Miriam Ellis! How Does Mobile-First Indexing Work, and How Does It Impact SEO? Google’s Walled Garden: Are We Being Pushed Out of Our Own Digital Backyards? See more local SEO predictions for 2019 by Miriam in our Q&A! The complex and ever-changing world we live in isn’t only impacting our ability to engage with our customers, it’s also having a significant effect on our lives at work. As a result, stress and stress-related illnesses are hugely on the rise. We sat down with her to discover a little bit more. Hi Cate, can you tell us a bit more about what PUSH is? teams and companies to work better. What made you decided to start this new business? a genuine desire to help busy professionals live and work better. Can you tell us about a favorite moment from your career? our vision and mission and, secondly, how far we had come as a business. What are the biggest work goals you’re currently working towards? means more successful companies and happier people. It’s really not that hard. During your talk building resilience in the 20th century – what do you think the audience will gain from your talk? very best they can be. What are your three top tips for success? What has been your biggest challenge over the last year? My partner. He inspires me, challenges me and helps me grow (and regularly drives me nuts too). If you could predict one thing for the future what would it be? fallout from Brexit is going to be really sh*t for everyone. What advice would you want to give to your younger self? Stop f*cking worrying – it’s always okay in the end. Join Cate Murden for her personal development breakout session at the dotdigital Summit on Wednesday 20 March. Not got your tickets yet? Get them today. The post dotdigital Summit 2019: an interview with Cate Murden appeared first on dotdigital blog. showing us how to overcome and thrive in today’s complicated world. We sat down with Richard Pacitti, Chief Executive of Mind in Croydon. Richard will be helping us embrace change and giving us the power to start meaningful conversations about mental health. What do you think are the main things we need to think about when talking about mental health in the workplace? It’s important that we understand a bit about mental health problems, and how we can notice them within ourselves and our colleagues. We need to understand simple things that we can do to create mentally healthy workplace and how we let our staff and colleagues know that it’s okay to talk about difficulties that they might be having. What are your key tips on getting a healthy work/life balance? The best thing you can do to make sure you’re getting a healthy work/life balance is to turn your work devices off when you’re not at work. The more you let work encroach on your private life, the less healthy the balance becomes. What advice would give someone who is experiencing mental health problems, but cannot or does not want to talk about it to people at work? You might think that talking doesn’t help, but all the evidence points to the contrary – taking to other people can be really helpful. You’ll probably find that your employer will be understanding and very helpful. And don’t forget, you can always talk to people outside of work. Friends, family or even people you don’t know and have never met. There are so many helplines out there, designed precisely for that reason. As well as some general information about mental health problems, I would like people to leave my session with a good understanding of how to promote good mental health, not just at work, but in life in general. I get a lot of inspiration from great musician and songwriters, but I also find that just getting outside for a walk can inspire me. Especially near big, green spaces. I find that very inspirational. It’s less of a prediction, and more of a hope. If we’re going to remain sane, we need to spend more time with real people, and real things, and less time connected to our gadgets. What piece of advice to your younger self? Join Richard Pacitti for his personal development breakout session at the dotdigital Summit on Wednesday 20 March. Not got your tickets yet? Get them today. The post dotdigital Summit 2019: an interview with Richard Pacitti appeared first on dotdigital blog. Baylis, Group CRM & Insights Manager at The Jockey Club. We sat down with Adam to get an exclusive insight into how they’re listening to customers and talking to them on channels that resonate. Adam, can you give us some background about The Jockey Club and your role? Summit headline speaker, Nile Rodgers. My role as Group CRM & Insights Manager sits within the wider Group Marketing team at The Jockey Club. We support the marketing teams in each of the four ‘regions’ that encompass our 15 racecourses. What has been your biggest challenge over the past year? outside, get some sunshine and generally have some fun. connect and engage with our customers again. How did you go about overcoming this challenge? local communities near to our courses. courses – so maintaining strong relationships with our local communities is vital. to find a new, powerful channel that could deliver close and personal messages. What do you think customers will gain from your talk? at Haydock racecourse responded really strongly to SMS. touchpoint with your brand is through your app, then speak to them on your app. If they interact with your SMS, talk to them there. engage them and I hope people leave my session planning to do the same. everything we do open to every opportunity. there are so many channels, that connections are made on an individual level. and this is what we plan to explore in the future. At this point, it is impossible to get away from mobile messaging. It’s just sitting there, in the customers pocket. We need to figure out which channels work and target those segments accordingly. Whether that’s SMS, WhatsApp, or push, it’s all about going where the customer wants you. Join Adam Baylis for his breakout session at the dotdigital Summit on Wednesday 20 March. Not got your tickets yet? Get them today. The post dotdigital Summit 2019: an interview with Adam Baylis appeared first on dotdigital blog. Ahead of the 2019 dotdigital Summit, we sat down with Mark Roberts, co-founder of Beer Hawk. Leading the charge of our ‘brilliant fundamentals’ breakout sessions, we wanted to know a little bit more about Mark, where he’s come from and get a little insight into the wisdom he’ll be sharing at the Summit. So, you and Chris France founded Beer Hawk around 6 years ago, what were you doing before then? It was during my time as Marketing Director at Laithwaite’s Wine that I got the inspiration to start Beer Hawk. Not satisfied with the beer offerings of the supermarkets, there was a growing demand for unknown and undiscovered craft beer brands. With so many small, amazing craft breweries out there, I couldn’t understand why there wasn’t a similar offering to Laithwaites, but for beer drinkers. So that’s what I did. And why were you interested in marketing in the first place? consumer brands make things, especially the new and adaptive ways they innovate. Could you explain what your job entails? strategic things that we need to do differently. Do you have a favorite experience from your career so far, I know you’ve won quite a few awards so that might be quite difficult for you to choose? promoted our brand for the first time. needed someone with a significant customer base to give us a much-needed boost. journey – and Beer Hawk was now part of it. surprise when our phones started going crazy in our pockets. fulfil these orders? Would we even be able to?! We didn’t have enough beer, packaging or people. But that wasn’t going to stop us, because if that moment showed us anything, it was that we were really onto something. We were offering something that people really wanted. What are your biggest work goals currently? our workforce expanding and becoming increasingly diverse and varied. I want the audience to leave our talk understanding that it’s still possible to grow and expand, no matter the complexities. I want them to leave thinking, not of the struggle complexity presents, but the amazing opportunities it holds in store and the amazing innovations just waiting to be discovered. Know what you want to do. Have a clear purpose and goals about something your passionate about, because it would be rubbish to be successful in something you’re not passionate about. Surround yourself with brilliant people. Better yet, surround yourself with brilliant people who compliment your strengths, and, more importantly, your weaknesses. Teamwork is everything behind success. Nobody is perfect, and you will need people who challenge you if you really want to be successful. Belief. Have massive belief in yourself, in your team and in what you’re doing. Success is never simple; the road is never smooth. You will experience so many setbacks and moments where you will feel like you can’t do it, that, without belief and belief in what you do, you never will. about being such a fast-growing business. Our first employee joined the company 5 years ago. Our latest employee joined 5 weeks ago. We now have over 80 employees and continue to expand. Making sure everyone knew what they were doing, and how to communicate across teams is essential. For a long time, we had just enough processes in place to stop from falling over. Managing these growing pains was one of our biggest challenges over the last year. I would tell myself to start earlier, younger. I always knew that I wanted to start my own business, but I held myself back for years. I would tell myself to go into the ‘doing’ stage sooner. And finally, we have to know, what is your favorite beer? in and what time of year it is! My favorite ever beer would probably be a Scheider Weisse Eisbock, sat in the amazing Schneider Brauhaus in Munich. But that’s not a beer I would enjoy on a hot summer’s day. For that I would probably prefer a cold, crisp IPA, like a Goose Island. Join Mark Roberts for his breakout session at the dotdigital Summit on Wednesday 20 March. Not got your tickets yet? The post dotdigital Summit 2019: an interview with Mark Roberts appeared first on dotdigital blog. New features give manufacturers valuable search query and competitor insights, as well as new product information to highlight in Google Shopping. York to his 14-year-old mother, Beverley Goodman, and father Nile Rodgers Sr.
also the making of him. Sam Smith (to name just a few) you’ve undoubtedly heard this maestro at work. America, White Hot, Thelma and Louise, and Beverly Hill Cops III to name a few. today, Rodgers has only missed two performances in his 47-year career. Join us and Nile on 20 March to learn more. Haven’t got your tickets yet? The post Music legend, Nile Rodgers, joins the 2019 Summit appeared first on dotdigital blog. 2019: The year of stop, start, continue. New Year’s resolutions – let’s be honest – hardly ever work. Research suggests that they are achieved by just 8% of people. New Year’s resolutions are usually over-ambitious and, by their very nature, are unlikely to be achieved instantly. In reality, change and progress are usually a result of small steps and time. To help your professional year get off to the best possible start, we’ve rounded up our favorite new features from 2018, organized them by hot topic, and listed how you can put them to good use in a ‘stop, start, and continue’ format. To be data-driven or customer-driven? The truth is, they should go hand in hand. 2018 saw us take an innovative approach to data that lets us scale our platform in ways we could never have hoped to before. This means we can process data and return segmentation queries at scale and speed. Leveraging vast amounts of (customer) data couldn’t be easier. Stop sending communications that are off-brand. Transactional messages triggered by customer actions are often hard-coded and as a result, unrecognisable and damaging to the brand reputation you’ve worked so hard to achieve. This doesn’t have to be the case. Our first release of 2018 (18one) empowered you to take control of your operational messaging – Magento users can design transactional campaigns in EasyEditor, for example. Start running your ecommerce and marketing platform better together, and on autopilot. Whichever ecommerce platform you’re on – we offer a range of triggers which let you respond to customer activity with relevant, timely messages. The very latest addition to our toolbox is our Shopify Flow integration. Based on actions (maybe your customer has requested a refund or just placed their second order) you can add them to a marketing program or update their contact record. Continue syncing your business systems. Two thirds of companies believe siloed data prevents them from making the most effective use of their marketing (Econsultancy). We couldn’t agree more. Without bias, we are committed to maintaining and improving our core integrations across CRM and ecommerce landscapes. Another addition is our integration with our newly acquired CPaaS team. Using their API technology, we have extended our reach. Today, you can build intelligent marketing programs featuring SMS, Facebook Messenger, Push Notifications, and more. In 2019 we are committed to bringing even more engagement channels into the fold. Stop thinking of marketing programs in channel-specific terms. Most marketers are already aware of the value of an email campaign. It gets interesting when you create cross-channel programs which allow you to be in multiple places at once. Customer journeys are increasingly fragmented, so having this flexibility is super-important. Start experimenting with new channels. We launched Google Ads and Facebook Audience connectors in 18three. With these, you can automate a program to funnel contacts (based on data or actions) to audiences. In doing so, you’re dynamically improving the quality of your audience and very directly impacting ad relevancy across the Google Ad network, Facebook, and Instagram. Continue building programs to your heart’s content. Besides the visible improvements to our program builder, we also continuously make changes under the hood. Program builder today is faster, smarter, and more powerful than ever before. We launched a comprehensive suite of functionality to help you manage consent obligations effectively. It’s so simple to use, but underneath we had to build smart new ways of working with our existing data to ensure everything works smoothly. Stop fretting about consent. With ConsentInsight you have an informed view of a contact’s consent and can even segment and target by it. As a responsible data processor, we have state-of-the-art security data centers in place to ensure the data you need to store is available, encrypted, and secure. Start capturing marketing preferences. Our recently launched marketing preference feature lets you build preference centers in minutes. Once you know what your subscribers like, you can send them relevant content across campaigns, programs, and more. Continue to monitor customer engagement. The popularity of your marketing preferences is tracked in account reports so you know what topics and products should be central to your content marketing strategy. Stop waiting by the AI side-lines. It’s here. AI (artificial intelligence) and ML (machine learning) may have joined the realm of over-used buzzwords, but that doesn’t mean we should stop believing in their power. 2018 was the year we officially brought AI to our users. Now that we’re armed with a dedicated data science team, we can promise there is a lot more to come in 2019. Start simple. Even though product recommendations are smart bottom-line boosters, they’re not hard to use. If you’re already syncing your product and order data with us – you can get started with bestseller and trending recommendations right away. Ready for something more advanced? Choose from one of our machine-learning models. Continue investing time in your data. We’re particularly proud of our data enrichment feature which will help you achieve this. Data enrichment is a simple toggle in your accounts. When activated, our AI can read images, meta data, and more. The output of any AI tactic can only be as good as the data you put in. Feel like you missed a memo last year? Continue to read our newsletter – if you haven’t already signed up, you can do so here. Start keeping an eye on our public roadmap: the first place we talk about upcoming features. You can follow your favorites and will be notified when they are released. Stop by our extensive Knowledge Base, where you can access hundreds of articles that will help you get the most out of Engagement Cloud. The post 2019: The year of stop, start, continue. appeared first on The Marketing Automation Blog.